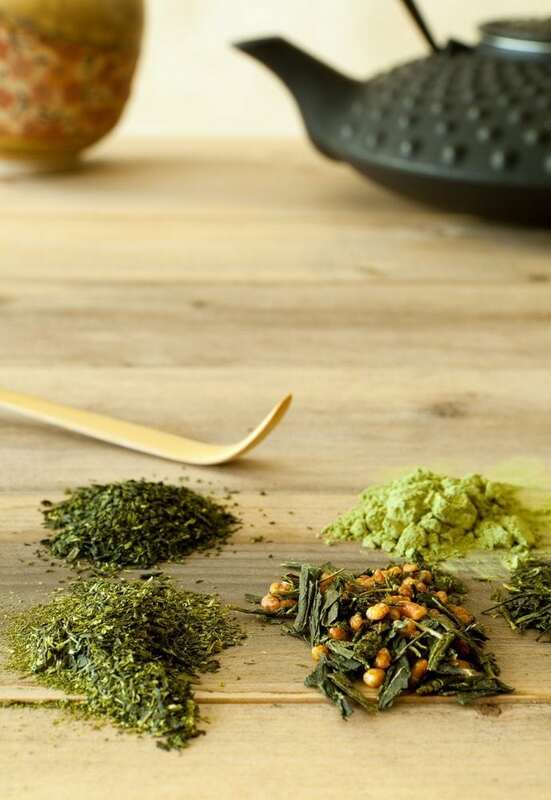 TEA SQUARED WAS BORN OUT OF A PASSION FOR FOOD AND A LUST FOR THE LEAF OVER A DECADE AND A HALF AGO. At that time, I set out to open some of Canada’s first tea shops. They were exciting times and tea enthusiasts flocked to the stores in search for answers and the quality of tea that could not be found elsewhere. Much has changed – quality loose leaf tea is now available in specialty shops across the country. The time seemed right for the next step and Tea Squared was conceived in 2013 as a supplier for tea shops, fine food stores and restaurants. Many years in the industry had provided me with in depth insight in the origins and production methods of my favourite beverage. I am fortunate to have traveled to the corners of the world to uncover the best teas for our blends. 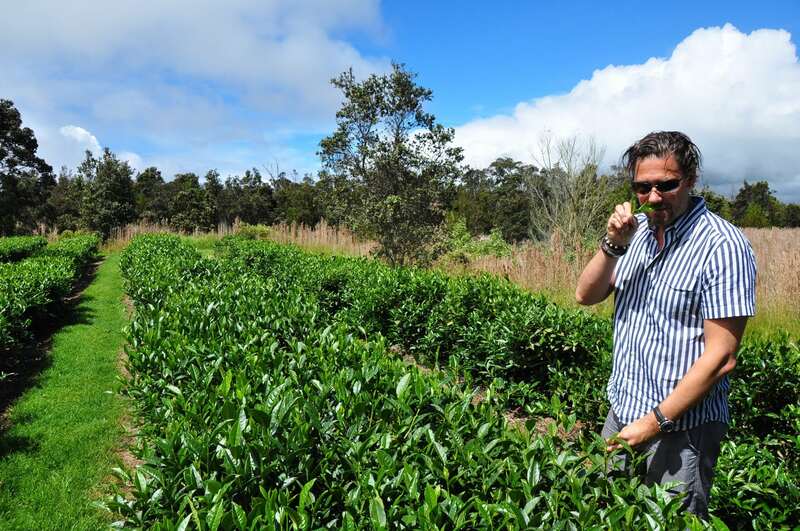 I nurtured the relationships with our growers over the years and we only source the highest quality premium loose leaf teas.Our teas are produced under the E.U. food safety standards and are constantly analyzed to bring you the purest product of the highest quality possible. Handpicked from sought-after remote regions where the purest leaf can be found. 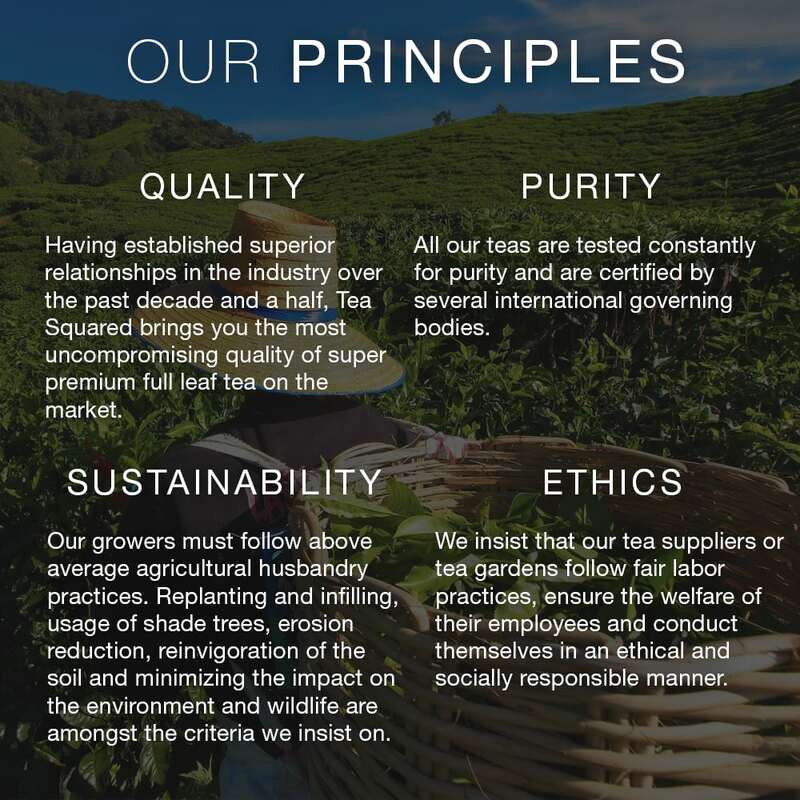 Tea Squared uses all natural ingredients in all of our blends.